← Are iron sulfates hydrating the Martian soil? Sol 4445, July 26, 2016. 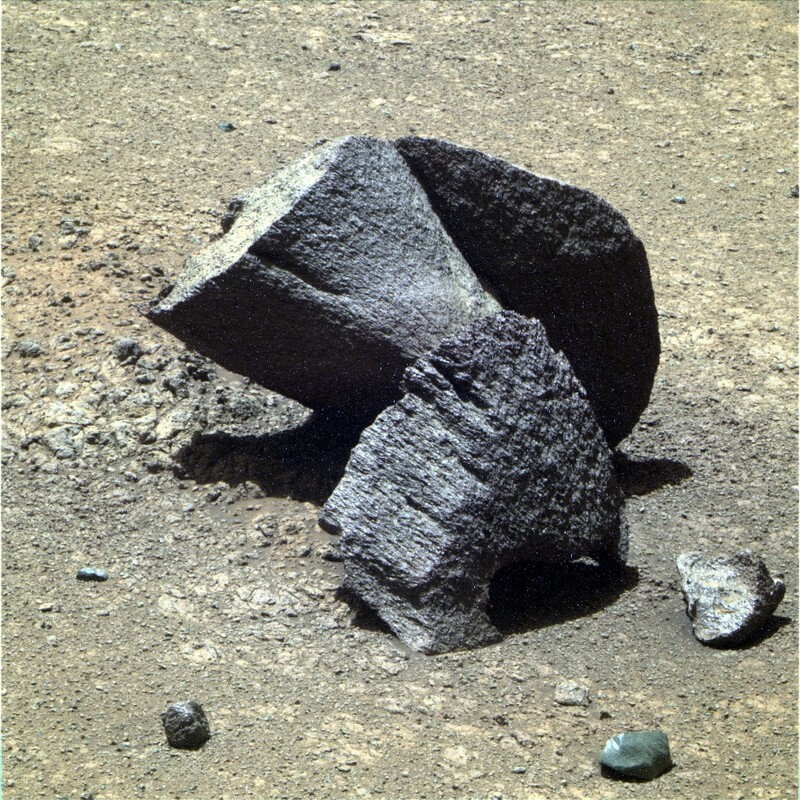 Opportunity turned its Pancam onto a clump of rocks collectively dubbed Sleepy II. (False-color version by Holger Isenberg.) Names here commemorate rocks studied by the Viking landers 40 years ago this summer. This entry was posted in Reports and tagged Cape Tribulation, Endeavour Crater, Hinners Point, Marathon Valley, Mars Exploration Rover, MER, NASA, Opportunity, Sleepy II, Viking landers. Bookmark the permalink.